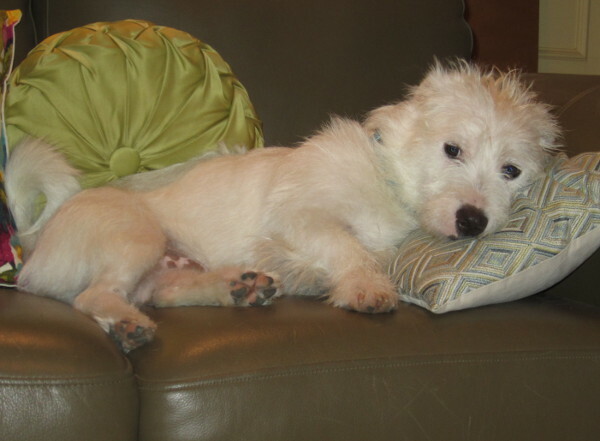 Chester is a well rounded, happy, 1-2 year old Westie imposter. He has a very high IQ that he doesn’t like to use when he is eating his food. Let’s say gulping might be his worst trait. Chester’s foster mom reports that Chester is well behaved, doesn’t bark and scream like a typical Westie, loves other dogs, tennis balls might be his favorite toy, gives random kisses, doesn’t like to sit on the furniture unless invited, and use caution when you are near the ice machine or you might get a nose bump. Sounds like Chester might need a family with lots of energy and other dogs or maybe Chester just needs a home full of love. Chester does have that awesome Westie trait, “love the one your with.” Chester’s is incredibly intelligent and would fit into any situation from becoming a hunting dog to just being a lap dog. 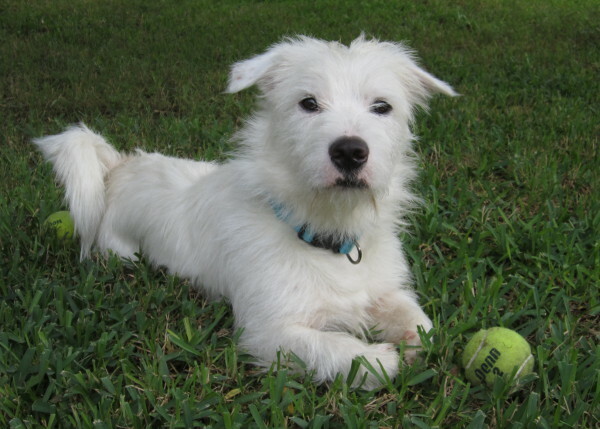 He fits into his foster family’s home within minutes and will have no problem adjusting to a “forever” home.